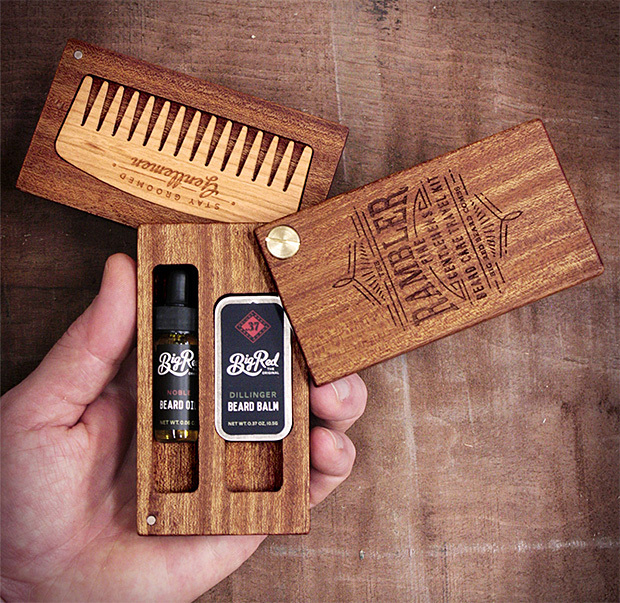 The Rambler Kit from Big Red Beard combs keeps everything handy for on-the-go beard maintenance. Made of solid Sapele wood with brass hardware the kit features a No. 9 comb and storage for travel size beard oil & beard balm. Big Red offers custom engraving on the kit for free.